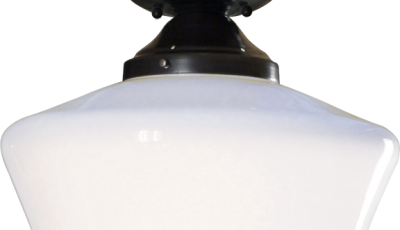 Modern and sleek this direct ceiling lighting fixture is a great lighting accent with a milk glass schoolhouse 16″. For decorate your kitchen, entrance or any interior. CSA & UL certified for interior. Customize your color from our standard chart or for a custom color and size contact us.